Why do I do small 10 person creative roundtables instead of a larger "lunch or dinner" event? I LOVE making myself available to everyone at the table! I want them heard and understood. Intimate style discussions around business and life success is my favorite style of helping people. I do better in small, intimate settings. I know I am giving high value to my guests; rather than some guests walking away feeling not heard or understood. Seriously, don't procrastinate. 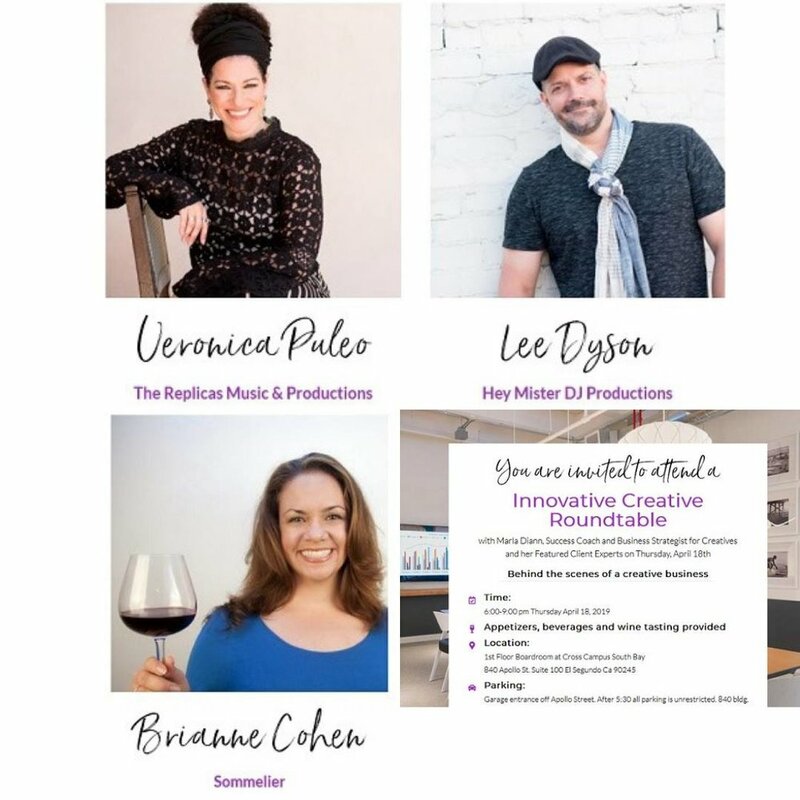 The perfect creative business owner to attend and engage around our dynamic table discussion is someone (and her or is good friend) takes action on a good opportunity and knows how powerful it is to gather with a small group of innovators, dreamers and integrity driven business owners! I LOVE showcasing talent and their behind the scenes stories! You will learn from Brianne Pergola Cohen, our delightful Sommelier who will be featuring delicious wines from women winemakers. Veronica Puleo of the NEWLY branded The MainAttraction band and The Replicas Music & Productions; and Lee Dyson of Hey MisterDJ Productions. Wine and food served!